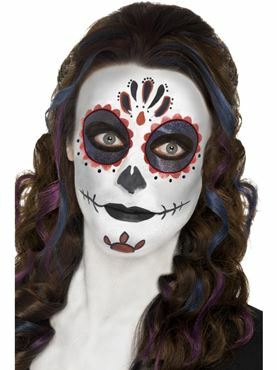 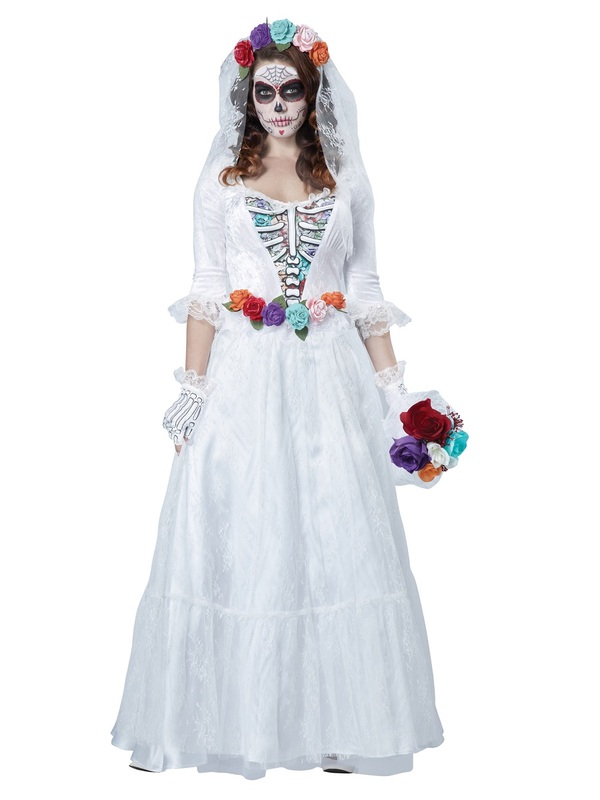 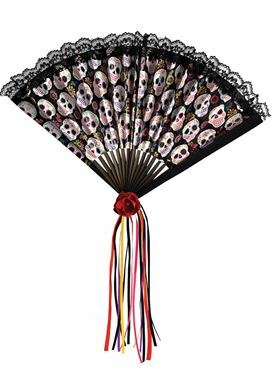 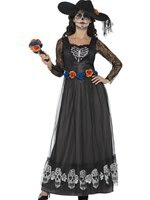 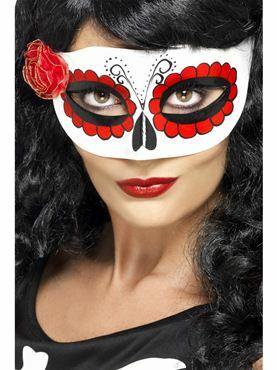 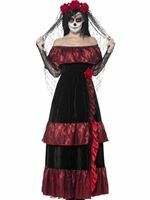 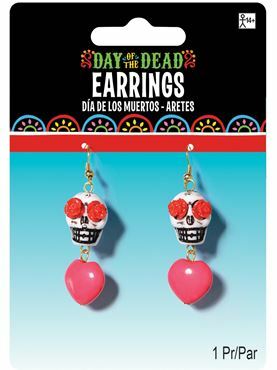 Meet your Day of the Dead Bride this Halloween in our Adult Deluxe La Novia Muerta Costume. The Outfit comes complete with the Long White Wedding Dress detailing the Lace Cuffs and Printed Multicoloured Rib Cage along with the attached Roses around the Waist and Printed Skeleton Glovelettes. 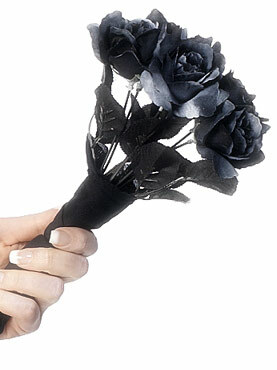 Also included are the Rose Pins and Veil with the Rose Headband. 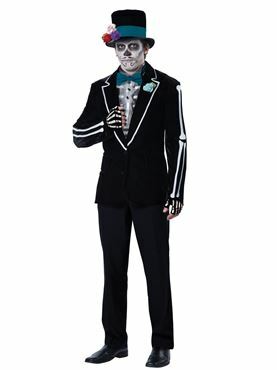 Complete the Outfit is the 2 Sheets of Temporary Tattoos.